Mutant Stage is a series of choreographed short films initiated by Amélie Couillard and Dimitri Chamblas, and produced by Lafayette Anticipations – Fondation d’entreprise Galeries Lafayette during the renovation of its 9 rue du Plâtre building between 2015 to 2018. For the third episode of the series, Benjamin Millepied adopts simultaneously the roles of choreographer, dancer and director. By personifying the building’s ubiquitous nature, he reveals in black and white the state of transition of certain emptied spaces. The 9 rue du Plâtre, currently immersed in an architectural, chromatic and choreographic in-between, is exposed delicately to the audience. Throughout this exploration of smoke sculptures created by cloud chasers, (LA)Horde seeks to give shape to a latent moment within the Fondation’s transition. Between the outstretched arms of a basket crane, Marie-Agnès Gillot and Dimitri Chamblas dance gently in front of Xavier Veilhan's low-tech camera in the 9 rue du Plâtre construction site, still void of its future glass tower. Exclusively filmed on the site’s patio, this eighth episode of the Mutant Stage series sets free from the piece’s original choreography, this time revealing itself through a low definition image and crystal-clear music composed by Jonathan Fitoussi. 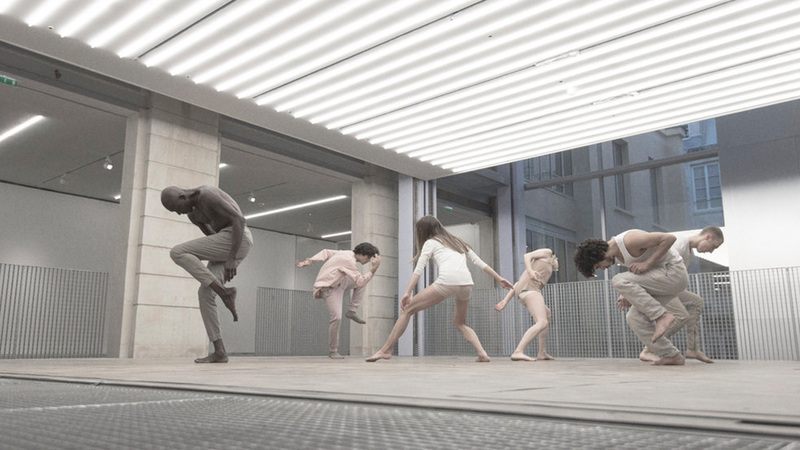 In this final episode of the Mutant Stage series, shot in the recently completed 9 rue du Plâtre building, filmmaker Barnaby Roper plays with the intertwining perspectives and movements of eight dancers. The subliminal images are multiplied, the gestures superimposed and the visions overlapping. The dance and the space are revealed by fragments, freely recomposed, anchoring themselves durably in our memories.